Everyone needs a Christmas stocking, and these are perfect for hanging around the fireplace. Personalised with your inital monogram. Each stocking is handmade to order, and features an embroidered monogram. 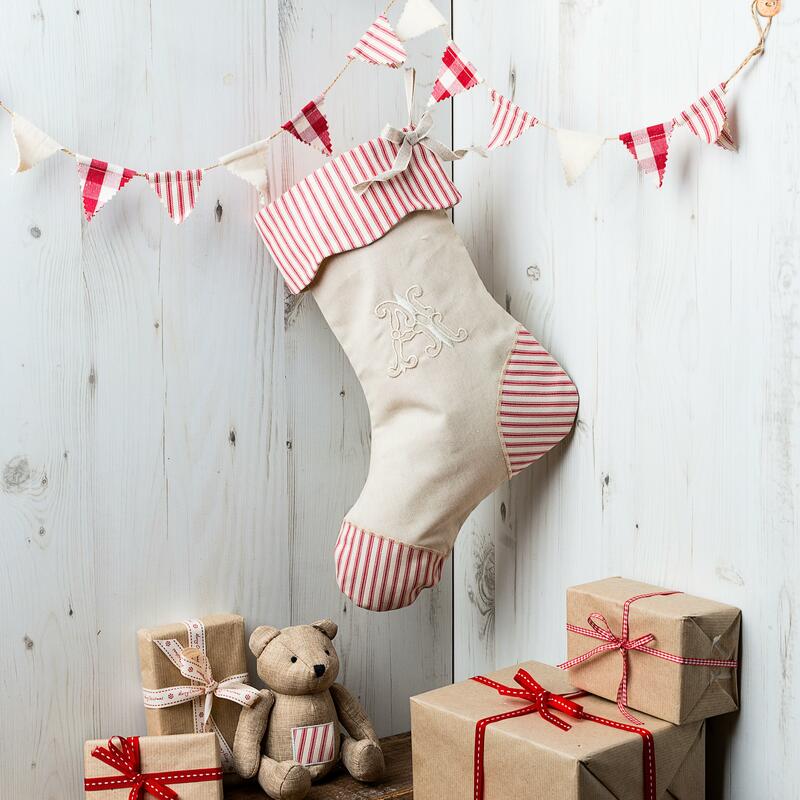 Each stocking features a red and cream ticking stripe scalloped cuff and heel and toe applique. 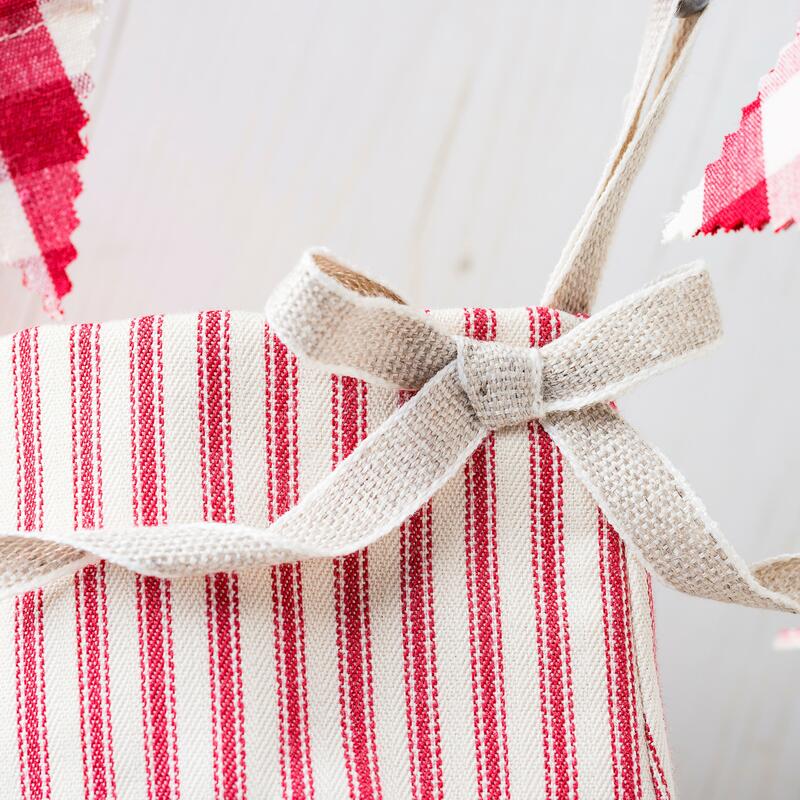 Each stocking is finished with a natural linen ribbon bow. 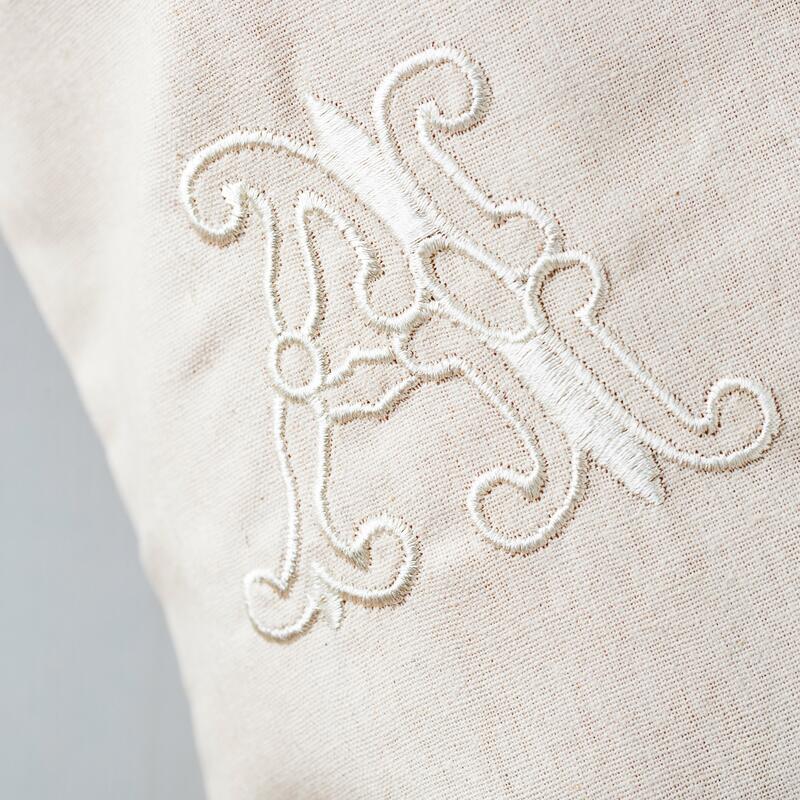 The stocking is made from natural linen with a natural linen which is then embroidered with your monogram in cream.